Jan 17 My Splendid Sampler 2 Block! Today is the day I get to share my block from the Splendid Sampler 2 book! I was so excited to contribute my In My Own Little Corner block with the other fabulous 80 designers in this edition. My fellow Moda Fabrics friends Jane Davidson and Pat Sloan have a serious all-star group of designers in both books. 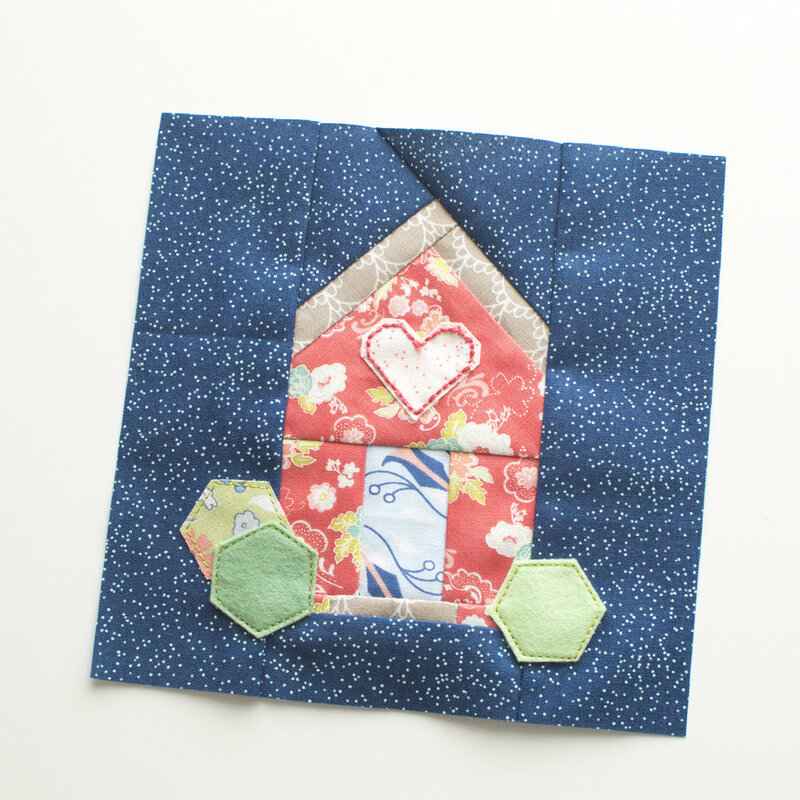 I have a thing for house blocks and new that a little 6” block house would be super cute in Tuppence Fabric. I also added some felt and raw edge appliqué and some embroidery details. 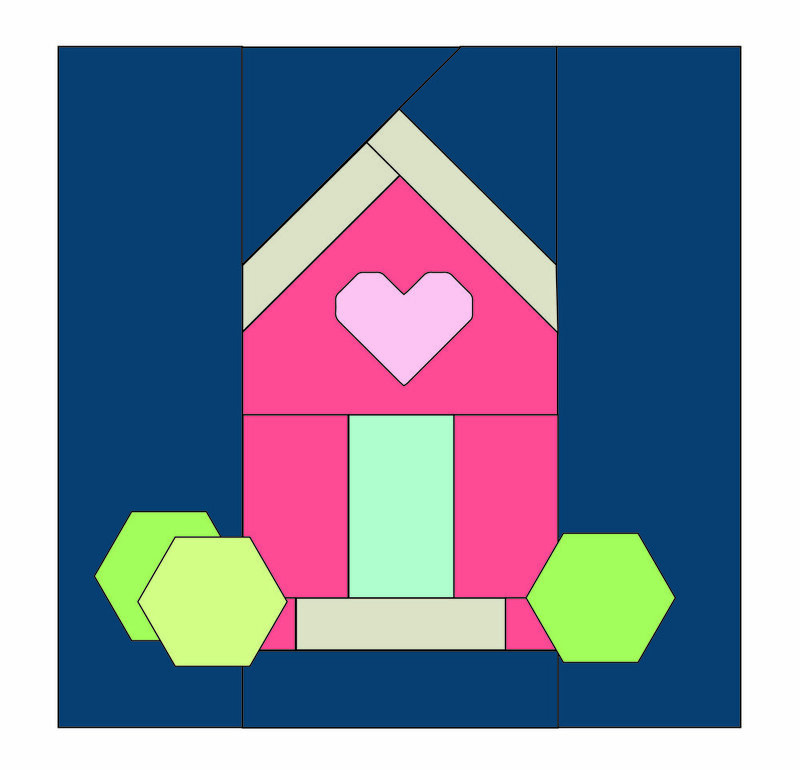 There are a so many variations that could be made with this block. I’d love to see a whole neighborhood. You can find the directions, and templates in the Splendid Sampler 2 on page 118. Of course, I am woefully behind on my other blocks! Initially I was thinking I would sew all 100. As of today, it seems a little daunting, so I think I’ll just sew up my favorites. If you haven’t joined yet, it’s no big deal. It’s also the kind of project where you can just whip up the blocks that strike your fancy as you come across them AND because the blocks are small it’s a great way to dive into your scrap bins. You can see my first few blocks here and here. Haven’t gotten your book yet? It’s available nearly everywhere online and in quilt shops. Also, incase that wasn't fun enough. Pat & Jane are having a giveaway each week! One person picked from the blocks shared that week on The Splendid Sampler website. Mr. Random number generator will do the work and you could be the winner! As, always I’d love to see what you are up to with my fabric and patterns, so please tag me on Instagram @evabmakery. Get updates on my newest fabric collections, patterns, and sales.